Recency – How recently did the customer purchase? 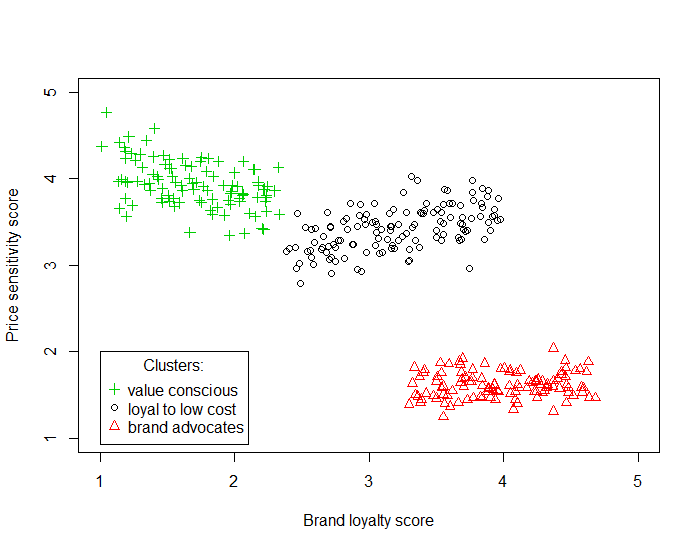 Recency is the most important predictor of who is more likely to show loyalty towards your brand. Customers who have purchased recently from you are more likely to purchase again from you compared to those who did not purchase recently. Frequency – How often do they purchase? The second most important factor is how frequently these customers purchase from you. The higher the frequency, the higher is the chances of such customers making a repeat purchase. Monetary – How much money do they spend (average basket value)? The third factor is the amount of money spent by these customers on their purchases. Customers who have spent higher are more likely to buy again compared to those who haven’t. By giving points for various hierarchies, you can easily find out who your best customers are. To perform RFM analysis for your customers, each customer is assigned a score for their recency, frequency, and monetary value, and then a final RFM score is calculated. Recency score is determined according to the date of their most recent purchase with your store. The scores are attributed based on the values of each parameter. Betaout’s RFM Analysis follows a category system of 0 to 9, score of 9 being the highest. In this case, customers who purchased within the last one month have a recency score of 9, customers who purchased within the last 1-2 months have a score of 8 and so on. Similarly, the frequency score is calculated based on the number of times the customer has purchased in a given period of time. Customers with higher frequency receive a higher score. Finally, customers are assigned a score based on the amount of money that they spent on their purchases. For calculating this score, you may consider the actual amount spent or the average spent per visit. By combining these three scores, a final RFM score is calculated. The customers with the highest RFM score are considered to be the ones that are most likely to respond to your communication. In Betaout’s RFM Analysis, the RFM score range from 0 to 27. Customers with a score of 27 are your best customers. Lifecycle groups: This refers to where your customer traveling through the online loyalty ladder. This is where the lifecycle segmentation approach is applied in order to encourage the visitors/customers along the ladder to further development. Split the values into buckets. Using quantiles or percentiles are a commonly used method for this but you can search online for more advanced methods. Add segment numbers to the customer table that we had in the first step. You can use a stacked contingency table to count/identify customers at risk or suitable for promotions/cross selling.